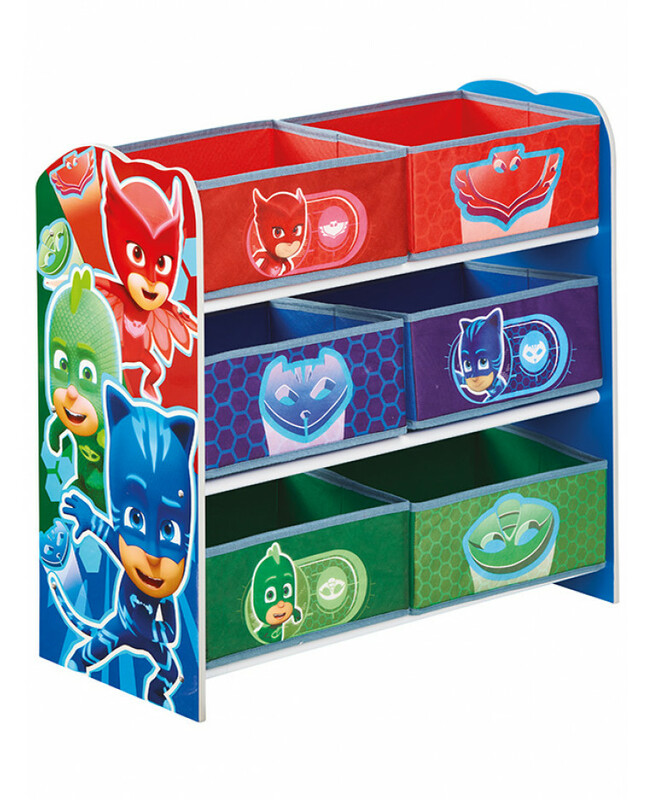 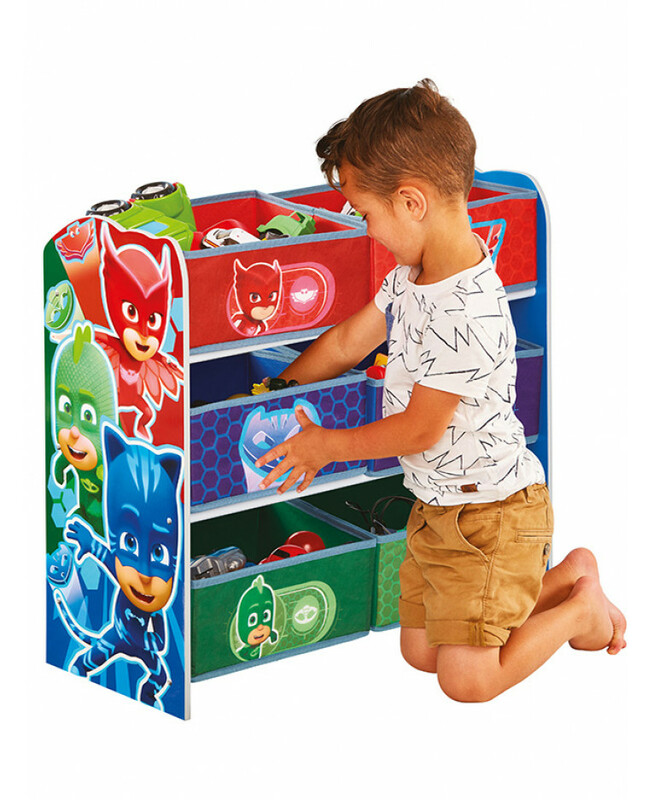 This useful PJ Masks 6 Bin Storage Unit is designed to make tidying up a pleasure rather than a chore. 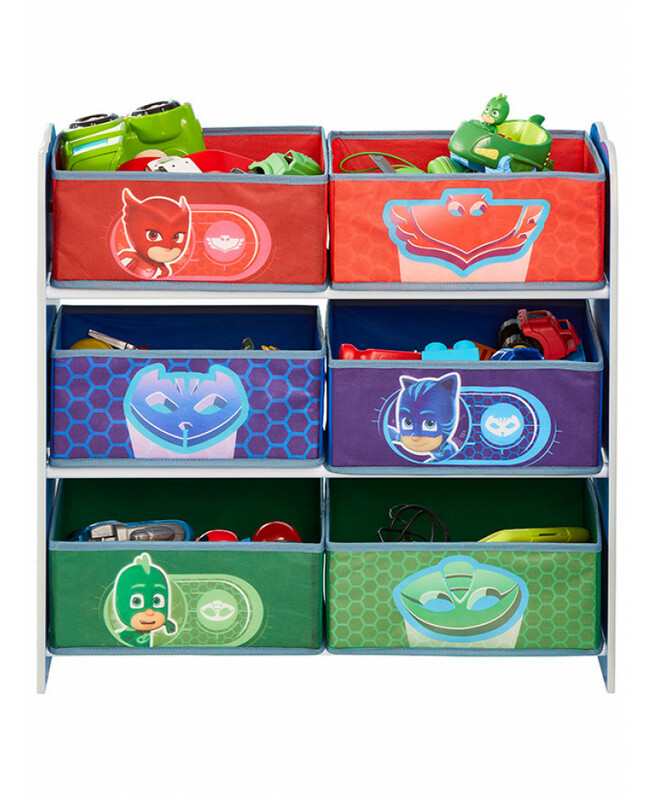 Its strong MDF frame and 6 fabric storage drawers are ideal for storing clothes, games, toys and books. 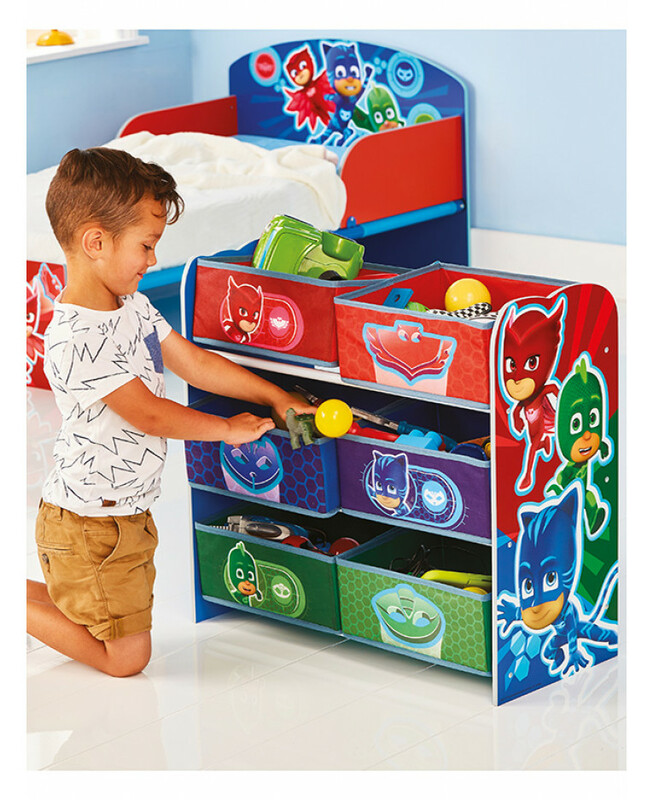 The colourful red, green and blue design features great images of mini superheroes Owlette, Gekko and Catboy. 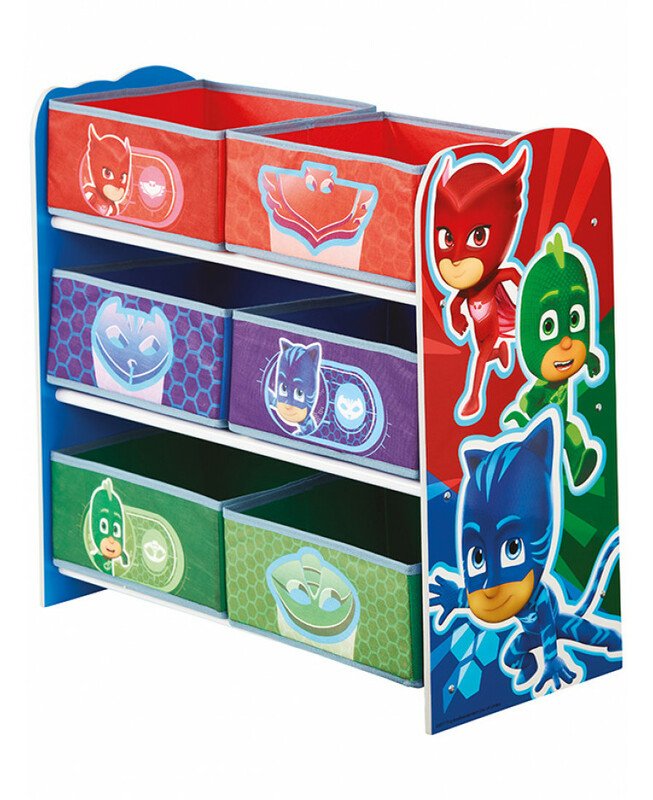 Matching items are also available from our website to complete the look of your room.